Write a three-stanza poem, or a very short story (313 words or fewer). 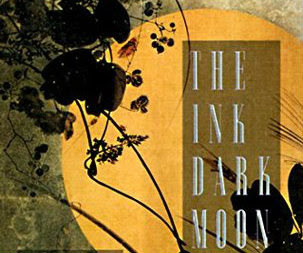 I just reread the first book I finished in 2017: The Ink Dark Moon: Love Poems by Ono no Komachi and Izumi Shikibu, Women of the Ancient Court of Japan. I tend to allow several months (often a year) before picking up a book I’ve already read. But this tanka anthology, and its history, gripped me. The poetry is suggestive, playful, sad, loving, happy… just like life—my reading journal is bursting with quotes. This week, I invite you to take a quote from the last book you read, and turn it into a new three-stanza poem or a very short story (of 313 words or fewer). Dance with the quote, laugh with it… cry with it—make us feel what the words made you feel. Please share the book quote and title. After you are done, feed the direct link to your entry to Mr. Linky. Visit other Toads. Detail from the cover of The Ink Dark Moon. Great springboard for writing. Thanks, Magaly! Always good with quotes.. been busy a couple of days, and need to edit a short story this weekend. Our next book will be released later this spring. Cool prompt, Magaly. And I adored your response! this was just what i needed to write something not planned out, great idea! Great prompt! The last book I read was a little different from my usual fare (and a new passion). I like this idea. I'm going to try it. I have a friend who loves writing tanka. Oh, I seem to have forgotten to post my link! Done now, hope some of you see it. Thanks so much for joining in the fun, everyone.